Recent studies are showing how oral health connects to overall health, and that poor oral health can lead to other serious conditions. Good nutrition is a key factor to maintaining optimal health, and it extends to our teeth and gums. The author of the article below recommend 7 foods that are good for our bodies and for our smiles. Thanks for visiting us at Shoreline Endodontics of Groton, CT.
Avoid any food that combines sugar, acid and stickiness, adds Miriam R. Robbins DDS, Associate Chair of the Department of Oral and Maxiofacial Pathology, Radiology and Medicine at the New York University College of Dentistry. Enemy #1 in her opinion? Sour, chewy candies like Starburst and Skittles. As for brushing away the bad food, Robbins recommends caution: brushing too soon after a highly acidic or sugary meal can actually cause additional damage to teeth, the enamel of which is softened immediately following contact with “bad” food. She recommends waiting at least 20 to 40 minutes before whipping out a toothbrush. But if starch, acid and sugar (along with overenthusiastic brushing!) are tooth killers, what can we provide in place of them? Overall, look for items that stimulate saliva production, which has a neutralizing effect on acid. That’s because saliva naturally contains bicarbonate, which neutralizes acid, as well as calcium and phosphate which help to “re-mineralize” the tooth’s surface, according Mark S. Wolff DDS, Ph.D., professor and chair of the Department of Cariology and Comprehensive Care, also at the NYU College of Dentistry. Other acid neutralizers, like those found in dairy can also help prevent tooth decay and gum disease. 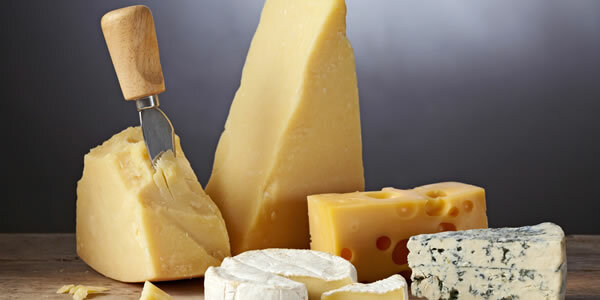 Cheese is low in sugar and acid and high in calcium, making it a good choice. But it also contains casein, a protein found in milk that is particularly useful for fortifying the tooth’s surface. In fact, dentists frequently prescribe a remineralizing paste called MI Paste, which is made from casein, to patients who are particularly prone to cavities, says Wolff.